Meg's Food! 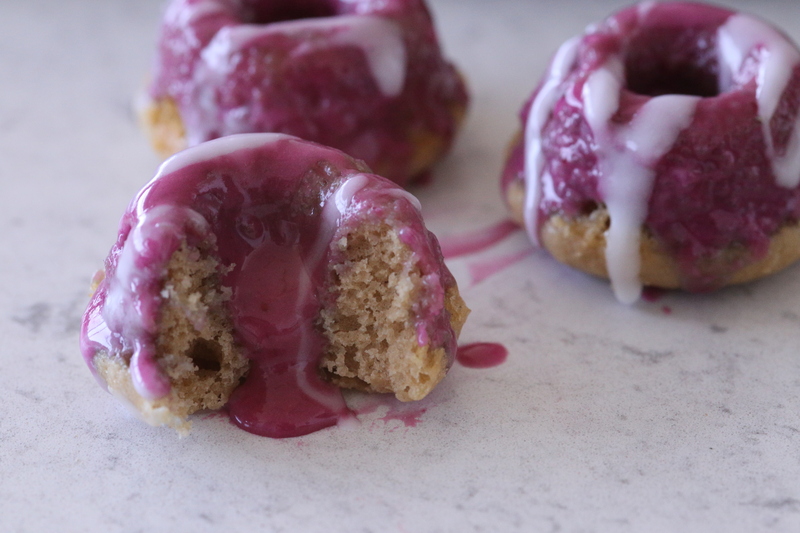 | Brown Butter Earl Grey Donuts with Blueberry Glaze - Meg's Food! I’m having a baking with tea moment lately. Especially earl grey tea. It’s such a delicate flavour, doesn’t overpower anything, but adds that special something to shortbread or loaves. The base for these donuts is my classic brown butter donut. Brown butter makes eerrrrrything better. I added earl grey-infused milk for a light, earl grey flavour that goes so well with the richness of brown butter. When I made my earl grey-lemon-blueberry loaf a few years ago I discovered that blueberry and earl grey should be best friends. 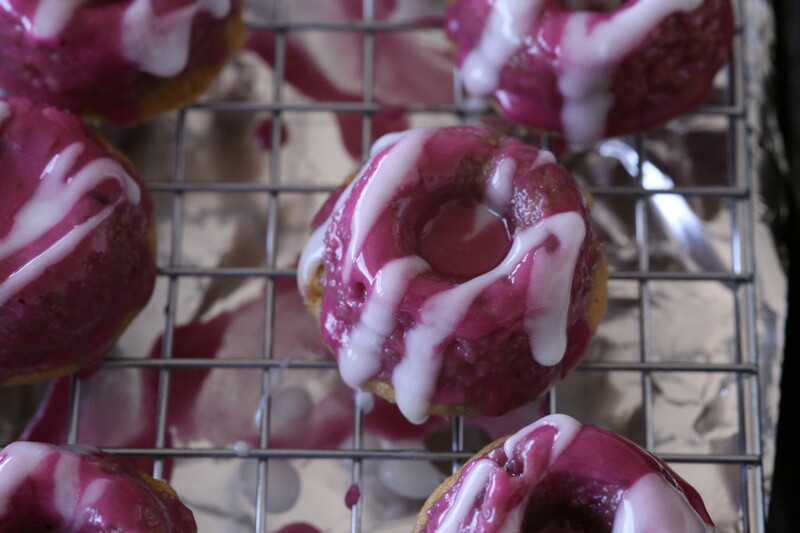 So I topped these pretty little donuts with a gorgeous, vibrant purple blueberry glaze. So pretty! Preheat oven to 350 and grease 2 mini donut pans. First, make the brown butter. Melt the butter in a small sauce pan over medium heat. The butter will start to bubble and pop – this is the water boiling off. When it starts to get quiet, watch it carefully. Remove from heat as soon as it starts smelling nutty and turns golden – then whisk it for another 30 seconds or so. Transfer to a small bowl. Heat the milk in a microwave until warm but not hot. Add tea bags and let steep while you prep your other ingredients. In a medium bowl, combine flour, baking powder, baking soda, salt, and sugar. When butter is cool, whisk it together with the egg and vanilla extract. Remove tea bags from milk and whisk milk into butter mixture. Pour into dry ingredients and fold to combine. 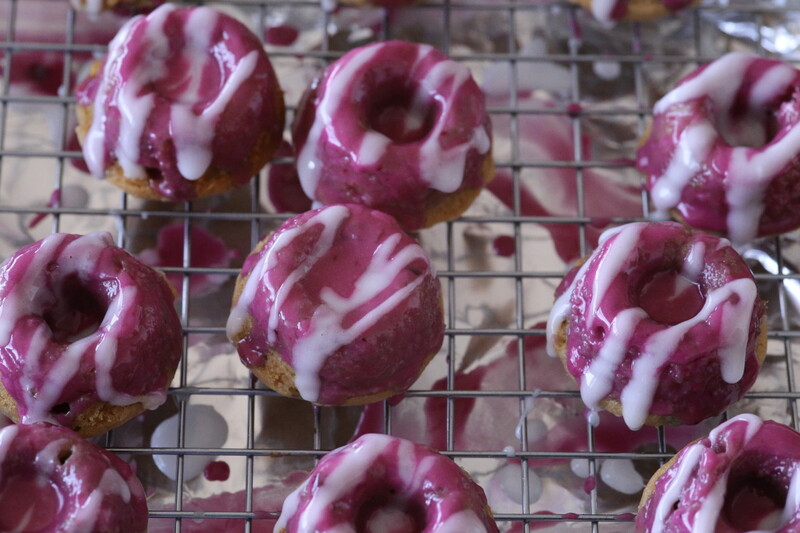 Pour batter into mini donut pan and bake donuts until springy, 7-8 minutes. Let cool completely. 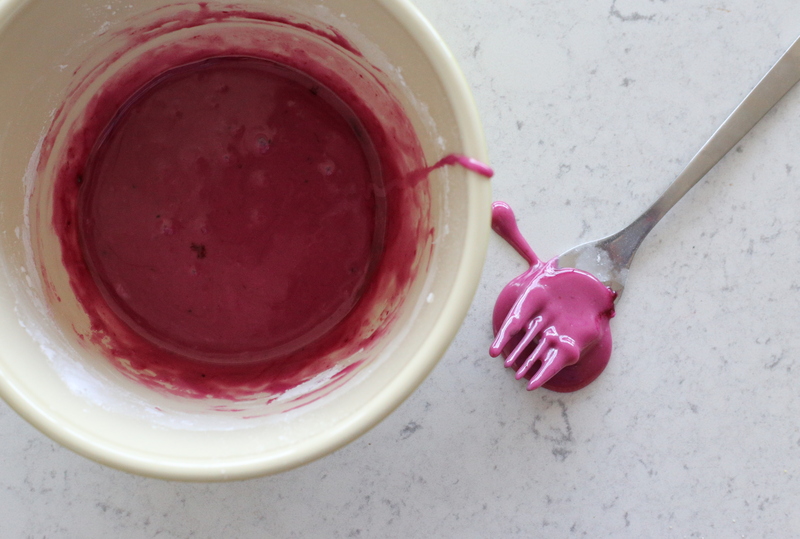 To make the glaze, combine handful of frozen blueberries with a tablespoon or so of water in a small saucepan. Bring to a simmer and use a spoon to mash the berries up. Remove from heat. Pour 2-3 tablespoons of juice from the blueberries into a small bowl and whisk in icing sugar. 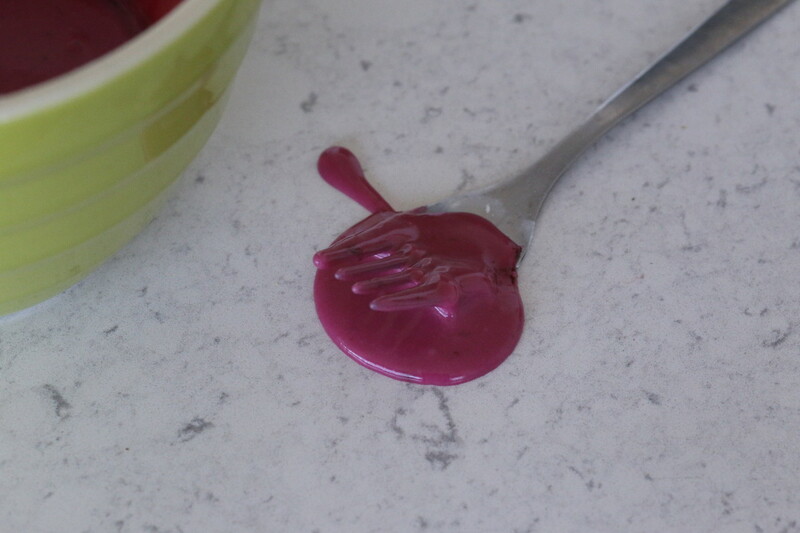 If glaze is too stiff whisk in a small amount of water (a little goes a very long way!) Dunk donuts into glaze. If you’d like to make them even prettier, whisk up a vanilla glaze to drizzle on top (about 1 cup of icing sugar, a few table spoons of water, and a splash of vanilla extract). This entry was posted in Breakfast, Sweet and tagged blueberries, brown butter, donuts, earl, earl grey tea, tea. Bookmark the permalink.